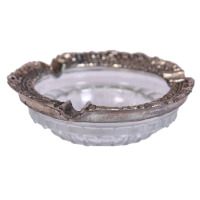 The Brass Metal Decorative Ashtray Shaped as Rajasthani Shoes can be ideal both for use as a decorative item and as a fancy ashtray at the same time. 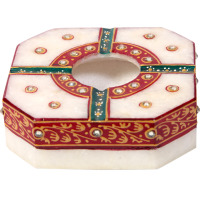 The Brass Metal Decorative Ashtray Shaped as Rajasthani Shoes sports highly exquisite artwork on their bodies that are a specialty of this region, and mimic Read More..the design found on the real life shoes. 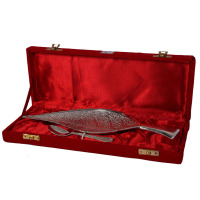 This decorative piece indeed looks like a shoe and can be an extremely interesting addition to any home interior. The mere fact that it also serves as an ashtray makes it that much more interesting and appealing. 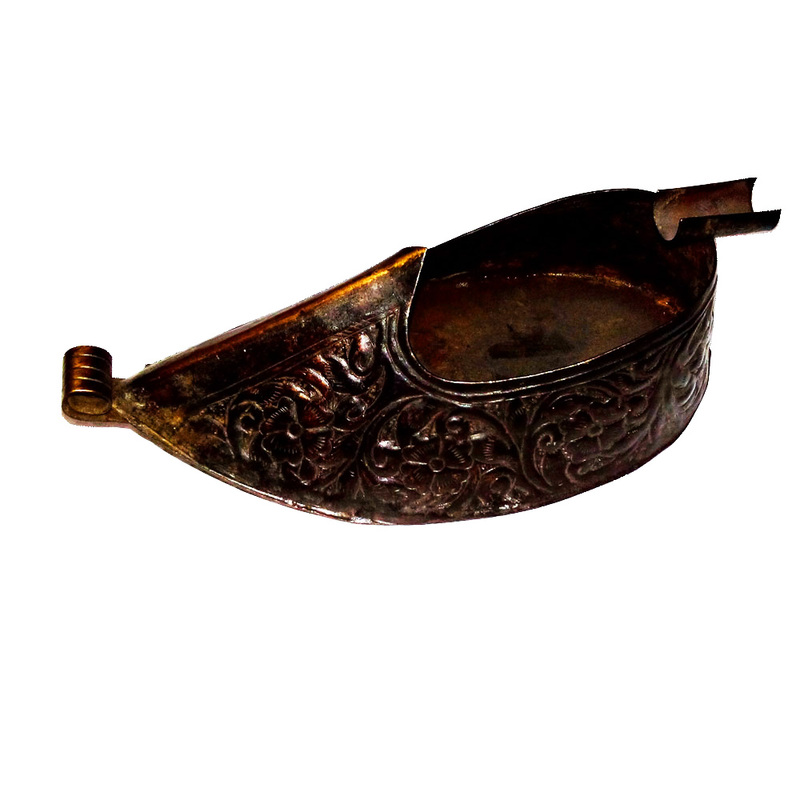 Thus, the Brass Metal Decorative Ashtray Shaped as Rajasthani Shoes is the sort of decorative piece that doubles up as a useable object in a jiffy. Show Less.. 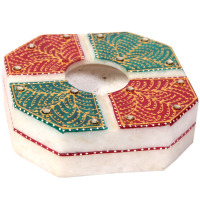 The simple yet absolutely artistic minakari and beadwork that adorns this mesmerizing ash tray makes people fall in love with this well sculpted marble piece almost instantly and forever. 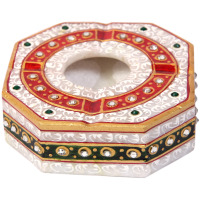 The intelligent use of golden color on a red and green background gives the ash tray an elegant finish while preventing the deterioration of its beauty by smoke stains.